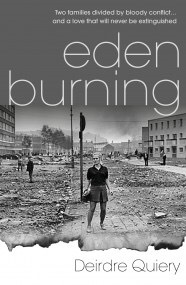 The competition is now closed and I can tell you that the winner of the competition to win a copy of Eden Burning by Deirdre Quiery and an Eden Burning print by the author is…. Eeeeeek! Thank you so much!